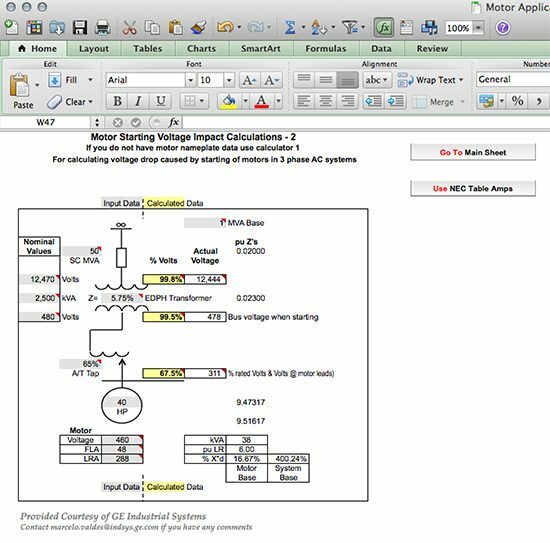 This program calculates voltage drop caused by the starting of motors at the substation transformer primary and secondary leads. Primary system impedance and transformer impedance is taken into account. Secondary conductor impedance is not. 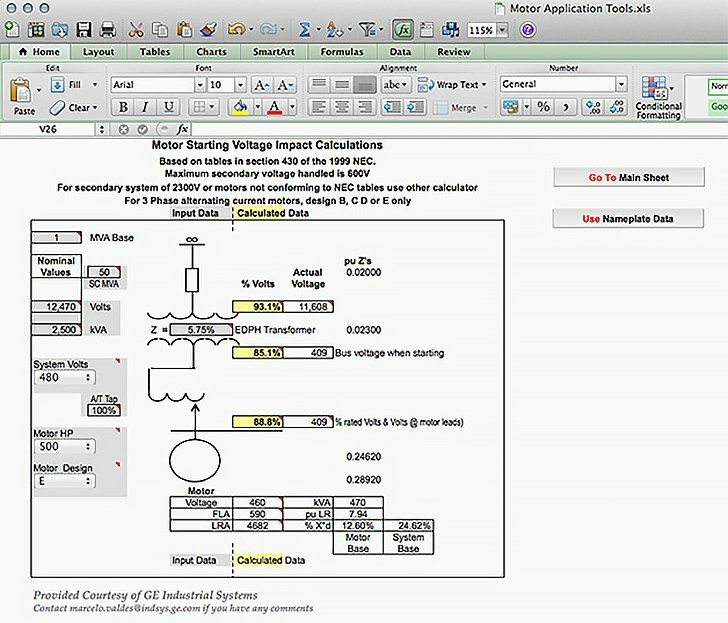 Calculator allows use of a autotransformer reduced voltage starter and provides calculations based on tap setting. Two calculators are provided. One is based on tables 430-150 & 430-151(B) from the NEC. The tables provide current ratings for motors up to 500HP and 575 Volts. The other allows full use of motor nameplate data. There are some vital improvements required. Firstly, the Transformer impedance should have a facility for +ve tolerance of 7.5% since this calculation is mostly done at early stage, when Transformer procurement and testing has not been conducted. Secondly, the cable length and size is required in the mathematical model. Otherwise, we will never know the voltage drop at the motor terminal box. Thirdly, the remaining base load on the bus also needs to be modeled, since this affects the Transformer regulation and the violtage drop.